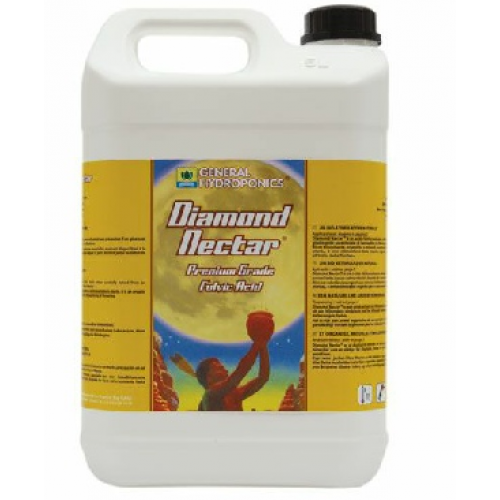 Diamond Nectar is an exclusive Fulvic Acid extract from a combination of unique Leonardite sources providing the highest availability and diversity of these bio-active plant compounds. Millions of years ago prehistoric plants and animals were consumed in the ecological cycle of life. Buried thousands of feet deep and converted to carbon, some of these deposits produced “Diamond”.Others were pushed to the surface during the ice ages and became what is known as “Leonardite” Beneath some ancient lands in New Mexico, an extraordinary Leonardite deposit was formed. It contains the riches of natural organic matter composted for millennia and freely available to growing plants. This deposit is carefully mined and natural compounds called “Humates” are extracted.